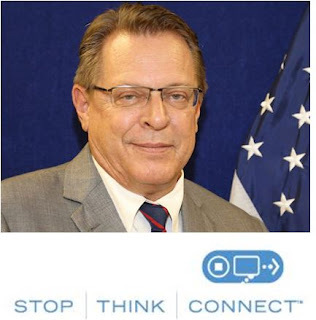 The United States embassy in Nigeria has marked the 2016 National Cyber Security Awareness Month (NCSAM) with the launch of the Stop, Think and Connect in Lagos, the commercial centre of the nation, reports ITRealms. Declaring the event open, the Consul General, Mr. F. John Bray, said that cyber awareness should be everyone’s responsibility, noting that globally, there have been rise in number of individuals, companies, and governments falling victims of cyberattacks. The concern to protect the populace encouraged in 2009 President Barack Obama’s call for an increase in education and dialogue about cybersecurity in the Cyberspace Security Review. “As part of this policy review, the Department of Homeland Security created an ongoing Cybersecurity awareness campaign - StopThinkConnect,” he said. He urged Nigerians to join the StopThinkConnect campaign so as to have connections to partners and subject matter experts who are committed to increasing online safety; cybersecurity tips, messaging, articles, and presentations; monthly discussions highlighting current cyber issues and trends. He pointed that people are now spending more time online at home and at work than ever before, stressing that growing dependence on technology, coupled with the increasing threat of cyber-attacks and risks to people’s privacy, demands greater security in the online world. ITRealms gathered that every year, billions of dollars are lost through cybercrimes globally, just as Mr. John Bray said that cybersecurity ventures predicts that the global community will lose over $6 trillion annually by year 2021. Other speakers at the event included the President, Cyber Security Experts Association of Nigeria (CSEAN), Mr. Remi Afon and country manager of Google Nigeria, Mrs Juliet Chiazor and Executive Vice Chairman, Nigerian Communications Commission (NCC), Prof. Umar Garba Danbatta, who was ably represented by the Director, Public Affairs, Mr. Tony Ojobo, while Dr. David Isiavwe moderated the panel.